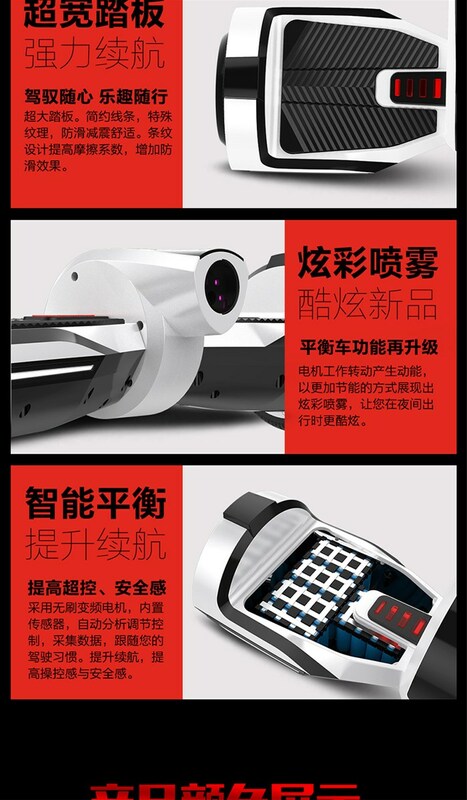 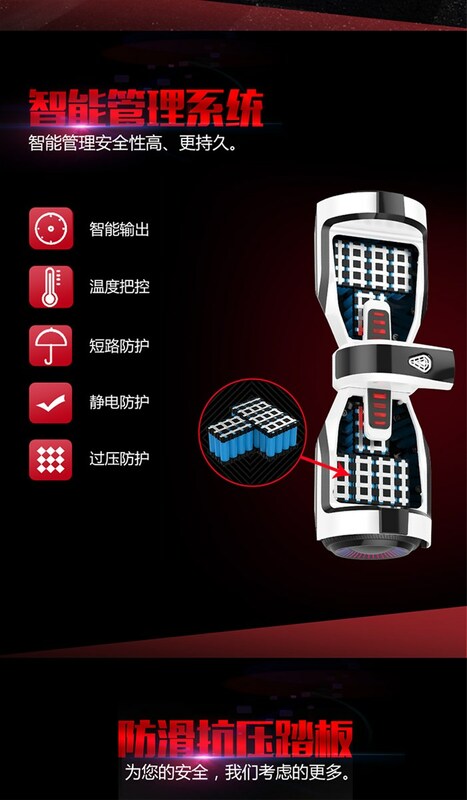 Intelligent Management System: Intelligent output, temperature control, electrostatic protection, overvoltage protection and short-circuit protection, intelligent management is more secure and durable. 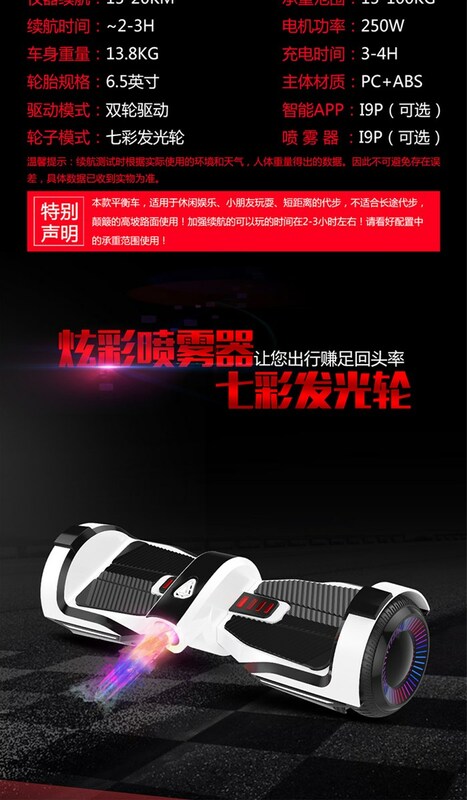 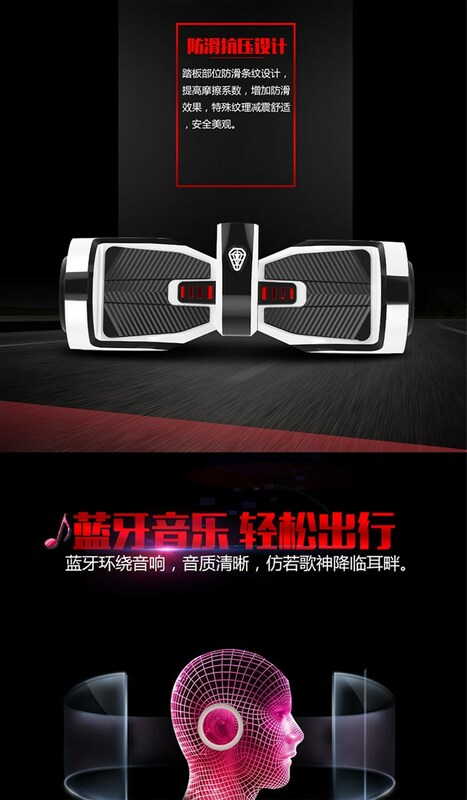 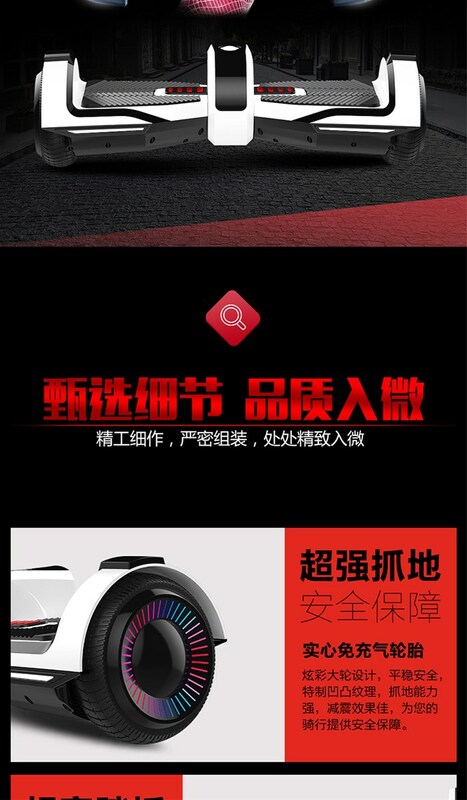 Anti-skid and Anti-pressure Pedal: Anti-slip stripe design, increase friction coefficient and anti-slip effect, shock absorption and comfort, safety and beauty. 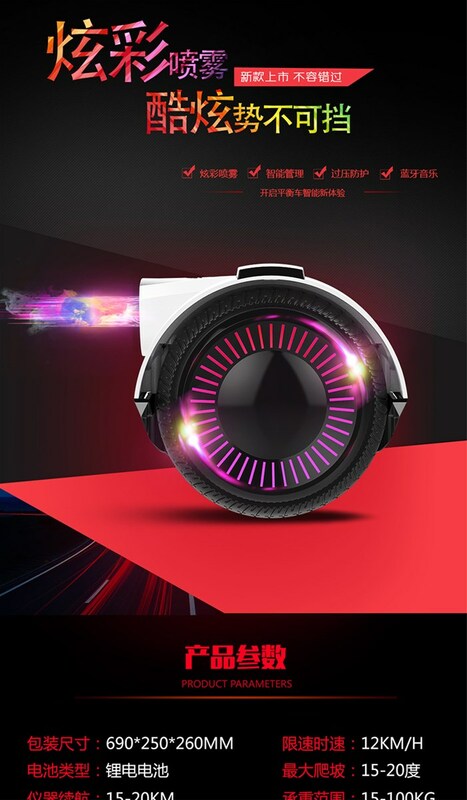 Colorful Glowing Wheel: Cool and fashion, catch the eye. 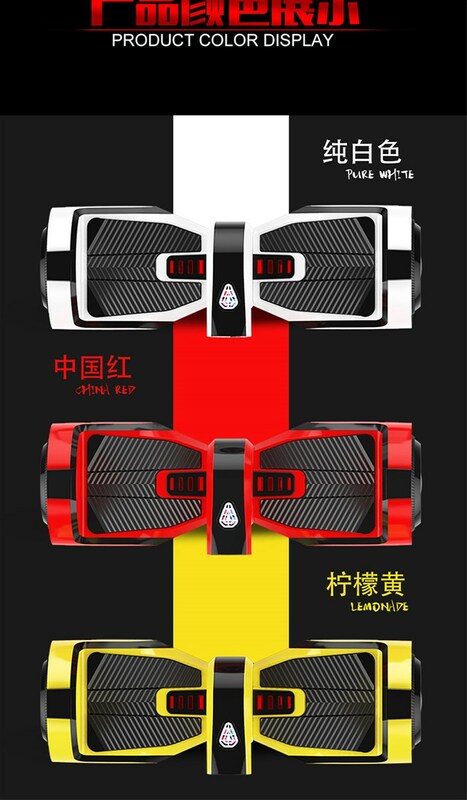 Note: This balance car is suitable for leisure and entertainment, children play, short distance walk, not for long distance walk or bumpy high slope road.